This piece was written in 2004-2005 in the wake of a strike at a behavioral health facility. Through the immediate eyes of those experiences it grapples with a number of forces in working life we find ourselves up against today. Today I would place different emphasis on the final sections about the various committees and conception of revolutionary unionism that was popular in Portland at that time. Still it’s surprising how relevant and contemporary this reads. As something of an aside, it also contains an attempt to understand power (as a cooptive power) through an emergence approach, which I hadn’t remembered anything like that as far back as nearly a decade ago. It also is likely the first place that direct unionism found its way into print, and quotes a never published piece from Pete Little on direct unionism circulated within the IWW that was highly influential at the time. The initial quotes below may read strange, but the Malatesta and Richards are intended to be there as contrast to the account of what follows. Herman Gorter’s piece conversely draws out some of that criticism. Shortly after starting my new job, my coworker and I came to the topic of unions. Unions were on my mind after having been on strike at my old job for two months, after seeing the struggle betrayed, and after having sacrificed my job at the end of a strike. The strike had transformed my whole consciousness of struggle, social relationships, and politics, while at the same time forced me to watch all the products of that struggle be regulated to and dissipated under the bargaining process and the agreement. My coworker and I bonded immediately. We share the same “pace” at work, work identical jobs, operate in similar roles, and share perspectives much of the time. We came from different worlds, though. I come from a fallen intellectual class suburban family, having grown up sometimes in modest means, other times near destitute amidst the wealthy. On the one hand, work and poverty drove into my consciousness class struggle from an early age (though I didn’t think of it that way then). On the other hand, I inherited the cultural and educational privilege (and baggage) of the well-educated background I come from. My coworker came from a black working class family of 11, and spent most of his life in Portland. He had lots of relatives in and out of unions, and his father was one of the workers who checked the train tracks, a union job until it was eliminated altogether. His family had been residents in Vanport, a public housing project flooded in what supposedly was an attempt by the shipyard bosses after World War II to eliminate the workers once they were done with them (and they potentially represented a militant threat). I figured he’d have an interesting perspective on unions, he being my elder and having a grasp of issues I can’t manage on my own. He told me a story of his son working at UPS. His son had gotten the job and was adamant that the union would protect and take care of him. My coworker argued with him about the union there. His advice to his son, and to me (being some forty years his junior), was that unions were created to help the workingman, but now they won’t help anyone except themselves. A month or so later, his son’s friend was fired when he couldn’t make it to work because of car trouble, and despite having given notice and followed procedure for being delayed to work, the union rolled over on the grievance. It’s easy to dismiss this critical attitude toward unions, which is commonly expressed by working people, but I think to do so is to miss some fundamental and radical lessons, lessons I learned through a strike that occurred at a social service facility in Portland, Oregon. My workplace was a residential facility for children with severe behavioral disorders, only one step above the State Hospital or detention. It is a 24-hour facility with about 100 union employees. I worked there as an unskilled maintenance worker for a year and a half. I helped build the union, the strike, and ultimately watched much of our work betrayed. This betrayal was in part due to the dynamic that has evolved between workers, unions, and capital (and the state). There are personal failings, tactical failings, etc., here, too (as well as successes), but these we will set aside to get at the more general trends that emerge in contemporary struggles. I want to draw out how unions have been co-opted by the state and capital to provide insulation from worker’s struggles. With this as my aim, I will identify three deep trends in the prevalent union model (business or service unionism) as it exists today. Business unions operate using a strategy centered on comprehensive contracts and government lobbying, and utilize a representational decision making structure. These features are crucial in understanding how unions help cripple the development of consciousness in struggle, disempower workers, and betray the demands of those struggling for a better workplace. I want to lay out my critique by connecting my experiences in the strike I took part in to these organizational issues. Though I don’t think all strikes or labor struggles are equivalent to my experience, I think that the experiences I had in social service can illuminate our thinking about these issues, and help delineate where the failures of business unionism lie. At the end I will lay out a new model of radical unions that also arose out of organizing experiences in Portland (and elsewhere). Before I launch into my argument, let me spend a little time on how I understand the process of co-optation of unions, as my understanding is unconventional in some ways. I do not believe that there is a single cause of unions being co-opted, nor do I think that you can reduce the complex system that encompasses unions, bosses, governments, and groups of workers into simple explanations of cause and effect without seriously distorting the reality of the situation. Ultimately the evolution of unions into bureaucratic instruments of capital occurred in dynamic circumstances that varied immensely in terms of the on-the-ground experiences of those involved. Nevertheless deep regularities emerge(d) from the diverse and decentralized experiences of particular workers, businesses, and industries. I want to abandon the-chicken-or-the-egg thinking here. Both the chickens and the eggs have been evolving across time with continual feedback from their environment. To understand the egg, we must understand the holistic context out of which it evolved. In the same way we need to think of unions across time as continually evolving through feedback from struggles, the state, bosses, workers, the economy, etc. Thus I will resist saying that contracts made workers disengaged. Workers, management, and the government are linked in a deep complex feedback mechanism, and workers’ behavior towards management (via contracts) has evolved in response to this situation (as contracts have evolved in response to workers and bosses, the state, and so on). The key for organizing is to destabilize the organizational equilibrium of the labor movement. By identifying these trends and structures that maintain the power dynamics in our workplaces, we can deconstruct and try to reroute the prevalent trends. The task is to rupture the equilibrium, and seize enough room for growth. The business union’s main goal in campaigns is generally to get the contract. Today’s contracts are what I call comprehensive contracts. (This is to distinguish them from the earlier notion of contracts that were partial; those were short in duration and were centered on specific grievances and workplace issues.) Current contracts, both for the bosses and unions, seek to specify as much as possible about the working conditions. Contracts are used, interpreted, and utilized like law. The process of expanding contracts to include huge swaths of policy, however, has had other effects for workers. In a bargaining context, there are genuine exchanges that occur, trading this for that. Labor has, through pursuing comprehensive long durational contracts, historically traded largely economic gains for things like statements of management rights, agreements not to strike, labor peace agreements barring direct action under the contract, and a mediated and untimely method for solving grievances. Management has thereby used contracts to gain greater control over the workplace and workers in the context of escalating workplace militancy. Contracts often require workers to respect management rights (even when it means closing an entire department), put up with “restructuring,” continue working in dangerous conditions under a “no strike” clause, or, worse, not talk about the union except on breaks. In some industries, contracts set the pace and form of the work. Contracts have become a tool management uses to gain more leverage in pacifying workers, and they have done this in part by improving the economic conditions while requiring more control over the conditions of service and production. Giving up control of the workplace to the legalistic machinery of the comprehensive contract is a guiding force towards a passive workforce. When you have trouble on the job, be it serious danger to your health or issues with a manager, you are often forced into a grievance process which frequently takes months, has little teeth to punish management for transgressions, and (most importantly) in which the workers effectively play little role. Most stages of the grievance procedure occur with union officials, mediators, and management. The union in essence tells you to sit tight while the professionals fight for you. Whatever the intentions, the result has been that workplace problems often go peacefully ignored during contract periods, few workers participate in or are informed about union business, and struggle is all relegated to bargaining periods or to the independent actions of workers against their contracts. I arrived at my union job in one such bargaining period. Initially, there were two stewards for a shop of 100, and perhaps five activists of which maybe two or three would actually come through on their work. During the year I was there before bargaining, workers were seriously injured, two people were fired arbitrarily, two union supporters were wrongly denied jobs, my department was cut in half, and the workload was doubled. The work was traumatic for all involved, terrible for the children, and devastating for workers. There was about sixty percent turnover per year due to the nature of working with such children in a poorly run facility where workers were treated like disposable lenses. I was working in the remnants of a failed strategy. A few years earlier the union had attempted to organize the company’s other non-union facilities. The company was able to sabotage the National Labor Relations Board’s elections and attacked union supporters such that both campaigns failed. Nationally, a union representative informally told me that the union gave up on organizing nonprofits because the campaigns, like at my own workplace, had failed to make any serious ground regarding the workers’ demands. My coworkers barely made a dollar and a half over minimum wage, could not talk union on the shop floor, had few holidays, no mental health days, illegally low staffing ratios, and a labor peace agreement that forbade any group action on or off the job that could portray the company in a negative light. The union had gotten such a terrible contract that they actually bargained away workers’ rights to freely speak and assemble off the clock. Our union stood by, impotent among turnover, apathy, and distress, trying to muster forces. At the end of the strike, unfortunately, these issues revived themselves, despite promises otherwise. After returning to work under a draconian return-to-work agreement that regulated workers’ actions under a microscope, management took shots at workers while their coworkers, who only a few weeks before faced physical harm for one another, stood by idly. Workers were given jobs other than the ones they had before the strike, shifts they had difficulty filling, and are now constantly monitored and disciplined for any discussion even remotely indicating anything about a union. Having signed a contract and a return-to-work agreement, the workers are now fighting the very structure they fought for, but with less power now off the picket line and under labor peace. With the first legalization of unions, government institutions began to institutionalize mediations between unions and management. Unions seek influence and power within these structures by channeling member time, energy, and money largely into lobbying. Governmental institutions seek votes and donations from the unions, but also to keep union members in line to maintain stability and power economically and politically. In practice this has meant that the government either dilutes workers’ struggles or attacks them. Any bout of worker revolt and action is met simultaneously with vicious attacks by management, security, and potentially law enforcement and the military. At the same time, government officials working with unions often press for largely economic concessions. Concessions come with demands such as backing off of actions, ending pickets temporarily, and binding third-party arbitration. The unions, meanwhile, divert time from taking action to third-person lobbying, a process which is equally distant from workplace struggle as contractual proceedings. The two avenues of struggle are parallel: just like contracts, this lobbying separates union struggle from the workplace, where workers’ power is located and where the problems arise. Lobbying is another mediating activity that has evolved along with unions and state cooptation of the labor movement. The political situation was quite complex in the campaign at my job. The overwhelming majority of the funding of the center is public (state and county). I believe that the political campaign overall distracted and hindered our organizing, but I will focus on the elements that insulated and calmed struggle. The most salient example is the period in which the governor was involved in bargaining during the strike. The union was courting the governor to intervene and threaten the funding of the facility, which would have been a big deal. The governor has a history of being two-faced with unions, so the moves were dangerous either way. He did get involved, and in an interesting manner. He assigned a mediator to intervene and guide negotiations, and to directly report back to the governor. To our advantage, he also failed to mail out the award notice that my workplace was supposed to get for its contracts with the state. In return, he ended up asking the union to stop picketing on certain occasions, to stop targeting board members at times, and called on us to make concessions. These actions (or lack thereof) were intended to give him leverage for negotiations with the company by demonstrating neutrality and two-way bargaining. In effect what it did was de-intensify the struggle and force concessions. Management could get away with bargaining without public pickets, board members could rest in peace, while the union was obliged to make concessions. Management resisted any serious concessions, and dragged their feet all the while collecting more and more concessions. The interesting point, though, was that in the guise of political favors, the governor was able to demobilize our actions and shift it towards a low-intensity conflict. During the periods of this intervention the greatest concessions were made (against some opposition from the rank and file). When the union felt like it had hit a wall, direct action was utilized more fully, and management was brought essentially to a settlement. The governor’s role in the struggle was in practice to pacify the worker’s militancy, and to promote peaceful class interactions through extremely weak concessions to the workers. The business unions operate with elected representatives as the primary decision makers. Such representatives choose all strategy, actions, contract proposals, concessions, and strike dates. Leadership convenes, discusses the issues, and formulates strategies on how to present the issues and decisions to coworkers, if they do at all. That is not to say that all union representatives are unresponsive to workers’ needs. Some are, some aren’t. My point is that the decision-making structure of business unions is another element that facilitates and increases potential distance between workplace oppression and the struggle to overcome it. There are two parts to this. For one, there is an insulation of the decision makers from the social reality of the workplace and its social relationships. Secondly, there is the insulation of workers from deciding how their workplace should be run. A dynamic is set up where workers often follow the leadership in taking actions set out by the union’s strategy. When there is a workplace issue such as a worker arbitrarily fired or injured, say, the union representatives meet outside of the workforce to craft their plan. Certain social and political pressures exist in this environment, which do not hold for the workers in general (though workers obviously have their own specific social pressures). Relationships, for good or ill, are established with union staff, management, and representatives. Group dynamics and history exert strategic pressure on the flow and nature of actions such a structure takes. Decisions are made often in an untimely fashion, and most frequently utilize formal contract procedures. The workers, on the other hand, experience wrongs at work often going unchallenged, being challenged too slowly, or being planned, decided, and executed by others. Cumulatively, this breeds a service mentality both among active unionists and workers. Workers tend to get the impression that the union is a body that either acts or doesn’t act for you, but which also calls upon you to support its actions at certain points. Union activists feel like they have to drag people into actions and teach people to “act in their own interest.” I don’t think much of this is conscious but is instead a dynamic that emerges from the social relations and the decision-making structures of unions. Let me give some examples from my job. At the beginning of the strike the union was having trouble materializing direct action that would pressure management to settle. The union staff wanted actions to happen every day, from a surplus of strikers on the picket line to flyering to chanting at strategic targets. This didn’t work because of group inertia, a lack of a surplus of strikers, people not understanding or having all the information about actions, and people not seeing where the logic for the actions they were supposed to spontaneously do came from. No actions were happening beyond those made up of the leadership group. To compensate and reorient their approach, the union staff planned what they told the picket captains was a rally. They gave a good amount of notice, told us that we’d meet downtown, and said there would be speeches by clergy, politicians, and union support. Four days before the event at a picket captain’s meeting, union staff informed the picket captains that they wanted to occupy the lobby of a building containing a board member’s business. The staff wanted workers to get arrested for trespassing as an act of civil disobedience. To make everyone feel safe the union called the police, and told them what they were doing and where. Making matters worse, they had planned this with Jobs With Justice and clergy without the worker-leadership, let alone the workers, claiming they were concerned it would get leaked to the building owners. Picket captains weren’t actually to plan the action until the night before the act. Between those two days, ill feelings stirred within leadership. Some of the picket captains felt that it wasn’t right to have union staff call for workers to get arrested when they had no part in planning it or had not been educated about the target and the methods. For those reasons the meeting was tense. It was clear that the union staff were rather upset that there was resistance to their plan, though it was unclear whether there was some element of self-blame or just pure agitation about resistance. Most picket captains felt comfortable with the action once its logic was explained to them. The action was touted as a success but was clearly far from that. Few workers agreed to get arrested. The police locked up the original building, unsurprisingly, and so spontaneously a new target had to be chosen. The march meandered around the city, and the police escorted us where we went. The police locked up the building eventually chosen by union staff (which had another strategic business within). The union staff waffled about whether to take an arrest about four times throughout that day. They decided to sit us down in front of this skyscraper that held a business that was strategic to target. There was little media there, whereas getting media coverage was a major goal of the organizers. The police waited us out, and the union decided to have us leave after twenty minutes of chanting. Despite the claim of a victory the action was clearly a failure. No concessions or responses were made in the bargaining meeting following the action. Nor was there any significant press to publicize the cause out of the event. The board member’s business was minimally affected, if at all. The arrests failed to happen, and rank and file actions failed to materialize in the following days out of the experience. This approach to organizing actions had little or no impact on increasing the level of participation in actions or gaining anything from management. It was a decent rally for what they are worth, but a failure of the union’s attempt to have successful direct action planned from above and outside. A similar action was planned weeks later that capitalized on the lessons of this action. This time the planning incorporated many of the criticisms leveled at the previous action and its planning. In this later action, workers had built some experience with direct action of occupations, were informed, and had time to discuss the action. Workers were familiar with the methods, understood the strategy, and played a more direct role in planning the event. Moreover the thirst for action was there as the campaign grew grim, long, and political betrayals had materialized. The action was nearly identical in its target. A lobby of a building of a board member’s business was occupied. This time it was successful. The majority of strikers participated in the march, many taking arrests. The action infuriated and scared the board. They became worried about occupations of their offices, and the negative press attention. The farce of benevolent board members working for the children was ruptured. Consequently the action played a pivotal role in bringing management concessions, which ultimately led to the settlement. The distinction between the two events was the level to which the workers were directly acquainted with and planned the actions. The distinction was partly between representation and more direct participation. The conclusion we should come to is that business unions have become institutions that buffer the power structures from the actions of workers to take control of their workplaces. They compromise workers’ strength through trying to move it from its most powerful arena, the shop floor, and placing it into a hostile environment of legalistic bureaucracies. Unions distance workers from their ultimate source of power, and obscure their goals through diverting it into political lobbying, comprehensive contracts, and ceding constituent decision making to representatives. Like the state, unions do some good for workers. Unions are able to provide some protection and benefits for workers, but have evolved to demand these benefits at the cost of control over the nature of work. With the current collapse of union power in the U.S., and the rise of global capitalism mightier than most states, it has never been more evident that the business unionism is not the path to a society of worker control and self-management. The question for radicals is what kind of workers organizations do we need presently? If our goals are direct democracy, decentralized power, and worker self-management, what steps do we need to take to attain our goals? The solution is always more contentious than the problems, and I can’t make any sweeping claims in my youthful and inexperienced age. What I think we require are radical unions. I see radical unions as answering the issues in our struggles. I am not talking about unions that self-gratifyingly wave whatever narrow ideology they harbor, or ones that try to outdo all the others through their level of violence or perceived militancy. Instead I mean unions that operate in line with the experiences of its members, and that strive for total worker’s control of the economy. They ought to be run directly democratically, with the workers deciding as much as possible. These unions should focus their energy on direct action, concentrating worker’s power where it is strongest, and not getting tangled in political lobbying. The lessons of prior independent unions show that they cannot merely be local, especially now in a globalized economy. At the least they must have regional if not national (or international) presence and infrastructure. Finally, and more controversially, we should start organizing outside the comprehensive contractual model. One way of realizing these goals in workplace struggle is what I will call direct unionism. A new model of organizing has arisen out of the earlier experiences of the Industrial Workers of the World (IWW), independent unions of the 1930s, contemporary anti-authoritarian left unionists , and most recently organizing by the IWW. Some IWW branches are experimenting with campaigns that have different aims and means from the contractual struggles of business unions. What is direct unionism? 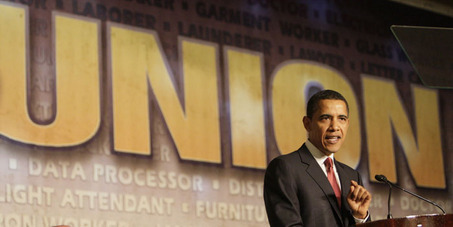 It is union organizing that: (i) targets primarily workplace issues; (ii) organizes workers based on their willingness and power to take direct action to settle their issues, irrespective of whether they want to carry a union card or whether they are recognized by the NLRB, bosses, or government bodies; (iii) operates directly democratically; (iv) builds organizers and a movement out of lessons of and radical intervention in struggle; (v) is organized by industry; (vi) organizes not just workers but engages in community organizing through its campaigns; (vii) develops, analyzes, and tries to implement a revolutionary vision of society. Among many individuals in the IWW there is a growing consensus centered on building a structure to realize such an organizing model. I am borrowing heavily from the discussions, proposals, and work that have gone on in that forum, and will only give a rough and preliminary outline. I hope in doing so, we can begin to initiate discussion about how we should be organizing. I do not speak for the IWW, though these are primarily my thoughts that I hope others share. In this model of organizing direct action and democracy guide the union’s composition and activity. Rather than focusing on recognition, such a campaign could be settling grievances in an industry potentially for years without calling it a union to the boss or the workers. The goal is not union status, but union practice. It presses for building real power and experience in workers, rather than merely seeking out economic gains. Campaigns will be directed towards building consciousness in the industry, but also engaging and spreading working class community. This is a broader strategy that tries to place campaigns strategically towards building a real movement of communities acting as and with workers, rather than supportive consumers or charity. These are some of the rudimentary motivations behind this shift in focus, but we should delve deeper into how we could make this happen. There are three basic levels to what I conceive of as a direct unionist model of organizing. There is the Industrial Organizing Committee, the grievance committee, and the shop committees. The Industrial Organizing Committee’s main purpose, especially in the beginning, is to develop member organizers. This task has many components, most notably teaching social mapping of workplaces, how to win workplace grievances, basic legal training relevant to the industry and context, and other organizing skills. This committee will be charged with maintaining an educational curriculum for organizers, and spreading organizational skills continually outward with the goal of making every member an organizer to the greatest extent possible. Beyond education these lessons will primarily occur through on-the-ground grievance work and the direct collective action that ensues. The committee will craft an industrial strategy, make assessments, maintain contacts, and coordinate between the shops. Out of these lessons, a set of industry minimum standards will be drafted. These standards will be the aim of longer term organizing, and will be applied at a stage where there is enough industrial strength to begin to pressure business to raise the working conditions on an industry basis, and subsequently going after the unwilling businesses. This sort of struggle requires community support and involvement; thus the IOC must develop and facilitate community organizing for these campaigns. The grievance committee is a sub-body of the IOC elected by the IOC’s constituents. The grievance committee will assist shops in dealing with workplace grievances. This may include actions, media work, direct community relations, advice, and legal support. The committee is accountable to the IOC, but is also charged with acting swiftly in times of emergency when the IOC can’t convene. Rather than acting for the workers, the grievance committee is a coordinating body to assist workers taking action, working with the IOC, and acting in solidarity. This committee helps workers strategize, and provides whatever resources are necessary and available for their struggle. In the beginning the union may only have one or two workers in a shop. These workers will develop their organizing skills with the IOC. The shop committees will establish themselves in the shops through agitating around workplace grievances, and their subsequent ability to resolve those issues. The shop committee organizer seeks to build a solid base for struggle, and in the process build a functioning shop committee for mutual support, planning, and acting together. Leadership will be built out of the struggles, and will be recruited from the shop committees to the IOC., and broaden their support through utilizing the industry-wide grievance committee for in-shop issues. Consequently these shop committees will be the lifeblood of laying out what issues and grievances exist in the industry, setting priorities, and planning strategies. As strength builds, these committees will aim at expanding themselves in a way that allows for implementing the minimum industry standards (and beyond). This framework is not the final word on workplace organizing. Rather, it is a strategy that developed out of particular lessons of struggle . Specifically it is inspired by the failures and attacks of the NLRB election route, the passivity of union shops under comprehensive contracts, the failure of spreading worker consciousness beyond a shop-to-shop mentality, and the other issues raised in this essay. In Portland (and other IWW branches), there have been successes in grievance work outside of the contract/recognition framework. These experiments are a conscious break from the tradition of radicals organizing within the confines laid out by the state and business unions. Instead we are trying to forge a new way of organizing, one that continually engages workers directly in the revolutionary struggle for controlling the workplace, and integrating and spreading community organizing throughout the struggle. In the process, workers involved gain the experience of struggle and workplace control that is transformative of social relations and people’s consciousness. If we can open up space of perceived safety and opportunity for struggle, mass organization and transformation may become possible. Therein the conditions for an anti-hierarchical society will blossom. The task is building collective experience and new ways of relating to one another, and even ourselves.